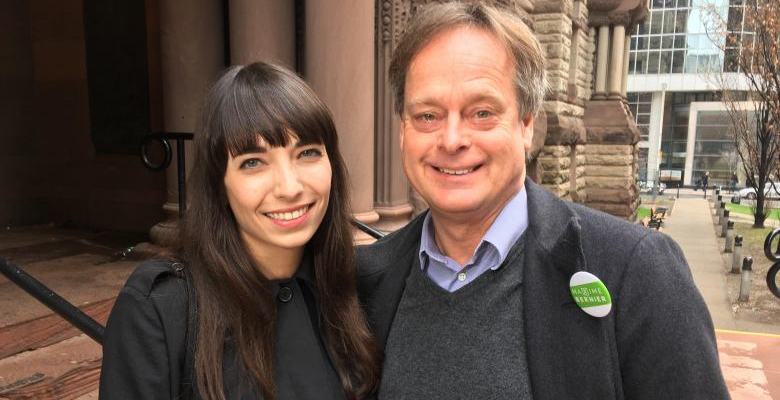 Jodi Emery’s estranged husband Marc Emery is fending off accusations that he acted improperly around female employees when he ran Cannabis Culture with his wife in the ’90s and ’00s. Cannabis Culture began as a magazine and website and evolved into several retail businesses in BC, Ontario and Quebec. One former employee, Deidre Olsen, says “was touchy.” He she recalls, once gave her a bong he he called “red flaming balls” and suggested they could “smoke out of my balls.” Olsen was 17 at the time. Several women confirm that Emery made lewd comments and regularly gave unrequested back rubs and kisses to female employees. Another woman, Brandi Watts, wrote on Facebook about Emery: “You were inappropriate. You often made me feel very uncomfortable with the nature of your physical contact and conversation. And, I’m being polite and gentle with my words right now. Being on the receiving end of it a number of times, I can tell you, it did not feel okay. Emery, who’s from London, Ontario, founded Cannabis Culture in 1995. He’d moved to Vancouver the year before and started the Hemp BC retail shop. Emery eventually was nicknamed “The Prince of Pot” and became the face of the Canadian legalization movement. In 2005, Emery was arrested by the DEA in association with Canadian officials for selling marijuana seeds to U.S. buyers. He was extradited, convicted on drug and money laundering charges and eventually sentenced to five years in federal penitentiaries in 2010. He was released in 2014. Emery is currently traveling in South America. The post Cannabis Culture Controversies: Vancouver Stores Ordered to Close, Marc Emery Under Fire appeared first on Freedom Leaf.